Family Medicine Associates of Gallup, NM is the area’s leader in quality sports and exercise medicine. Family Medicine Associates of Gallup, NM is the one to see for any urgent medical care requirements. Going to the doctor should not be something to be avoided. Rather, we at Family Medicine Associates of Gallup, NM are focused on making your next trip an enjoyable one, whether you need to see a doctor for a specific complaint, have a sports-restated condition, or are coming in for a routine checkup. We want everyone in Gallup, NM to know they have a place to go for quality care at reasonable prices. At Family Medicine Associates of Gallup, NM, our goal is to give our patients the treatment or consultation they require while presenting a relaxing, friendly atmosphere. We know that going to see a doctor may cause anxiety in some of our patients. But we have assembled a staff of nurses, physicians, and technicians who know how to make you feel at ease. 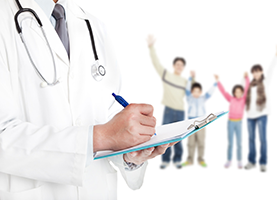 •	Family Medicine—In this practice, we give ongoing medical care to patients of all ages. This includes everything from pre-natal care to pediatrics and geriatrics. 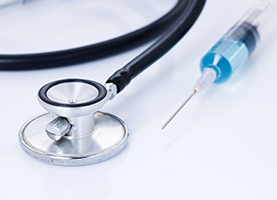 •	Medical Care—This includes urgent care for injuries, vaccinations, treatments for colds or nausea, tests and diagnostics, occupational physical exams, and drug and alcohol testing. 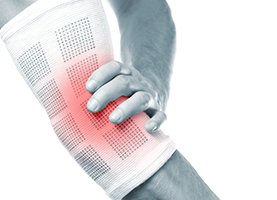 •	Sport Medicine—In addition to sports physicals, we provide treatment for a variety of physical conditions that have been brought on by exercise. This could include not just bone and muscle injuries, but also underperformance problems which may need screening for asthma and diabetes. We also focus on patient education. At Family Medicine Associates of Gallup, NM, we use the latest technology and techniques to ensure you are getting the best care possible. To help accomplish this, you will be asked at your first visit to complete a patient history. Your doctor will go over this information with you to get our relationship started. For the best in family medicine and overall medical care, depend on the family doctor so many in Gallup recommend. Call us at Family Medicine Associates of Gallup, NM for information and to make an appointment.